Imperial, who upset North in the semifinals, beat Heroic 2-1, after losing Mirage (16-7), and winning Overpass (16-14) and Train (16-8), to take first place and raise the trophy in Denmark. Imperial started taking the series lead on the Terrorist side of Mirage, their map, after winning the pistol round, but were quickly brought down in the anti-eco as Heroic, with deagles and CZ75s, tied it up. Up 3-1, North were able to win a very tight round as Patrick "es3tag" Hansen killed Nemanja "nexa" Isaković to trade Andreas "MODDII" Fridh and defuse the B plant to keep widening the lead. Down 1-6, nexa had a great round with three kills, but Imperial were unable to link a couple rounds in a row. By the end of the half, Imperial were down 4-11. Having won the second pistol round, Heroic further increased their lead. After Marco "Snappi" Pfeiffer and es3tag saved a 2vs5 against Imperial’s forcebuy, the Scandinavian side then went on to the cliff of winning the map, 14-4, but were unable to take the first gun round from the European combine. Heroic muscled through in the end, not allowing Imperial to get comfortable despite winning a couple rounds, and closed it 16-7. Heroic started on the CT side of their map pick, Overpass, and won the first pistol round. Having followed it up, Heroic took the 2-0 lead, but in the first gun round Žygimantas "nukkye" Chmieliauskas was able to win a 1vs2, which Imperial followed up to tie the map early on. The European combine then kept the momentum going, taking an early 5-2 lead. Down 4-7, es3tag won a crucial 1vs2, ninja defusing on both Asger "AcilioN" Larsen and Jesper "TENZKI" Plougmann to steal the round. By the end of the half, it was Imperial who went to the switch ahead, 9-6. The pistol round looked like it was going the way of Heroic, in a 5vs3 afterplant, but nexa got it down to a 3vs3 with two quick frags and AcilioN was able to defuse the bomb as his opponents were unable to kill him in time. 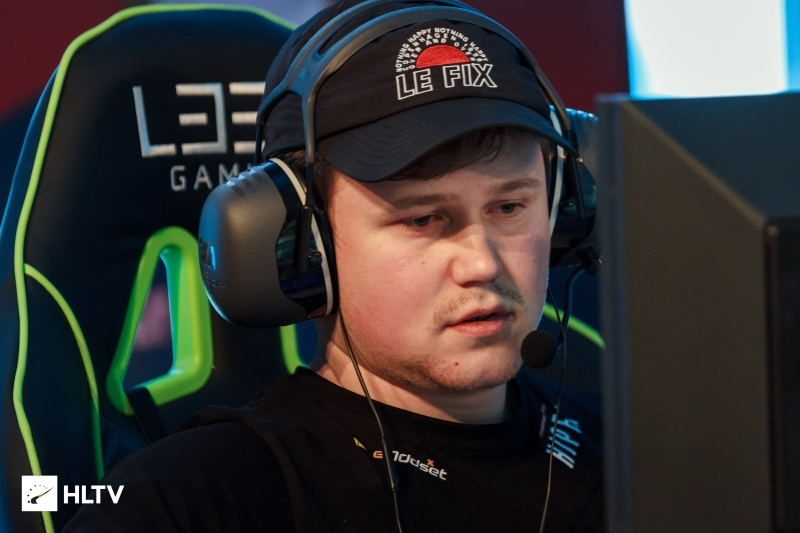 Heroic forced the second and were able to take the round as nexa and AcilioN, without kits, saved their M4s for the third round of the half. Winning three more in a row, Imperial got in a good position with a 13-7 lead, but after two dominant rounds by the Scandinavians, Imperial started to have money troubles. With 13-10 on the board, a huge 1vs2 clutch by nukkye with a defusal got his team very close to his team winning Heroic’s map pick. Imperial looked like they had it in the bag when they took the map point, 15-11, but Heroic were able to take a round of their own, hurting Imperial’s economy and running it all the way to the last round of the map. It was finally Rokas "EspiranTo" Milasauskas, the Lithuanian teenager, that saved the map for his team, killing two in a 1vs3 on B short and hiding until the timer on the round to hit 0 to take it to a third map. The final map, Train, started with Imperial getting ahead as EspiranTo got two kills in the 3vs3 post-plant on B after sneaking into connector. After the ecos, Imperial were able to get on the board in the first gun round, but a huge no-scope and last-second plant by nukkye, who then also killed the last CT to win the round, kept Imperial steady in the lead. With a 7-1 lead, Imperial changed the pace and played a slow methodical round, which they won to assure a 7-point lead early in the match on the Terrorist side of Train. Imperial closed out the fantastic side without giving Heroic a chance, 11-4. After losing the pistol round, Imperial took a clean round with all players surviving in the first gun round, to keep Heroic at bay. Down 7-12, Heroic managed to plant on B and defend the site as TENZKI retreated when facing Ruben "RUBINO" Villarroel in a 1vs1 with no time to defuse. 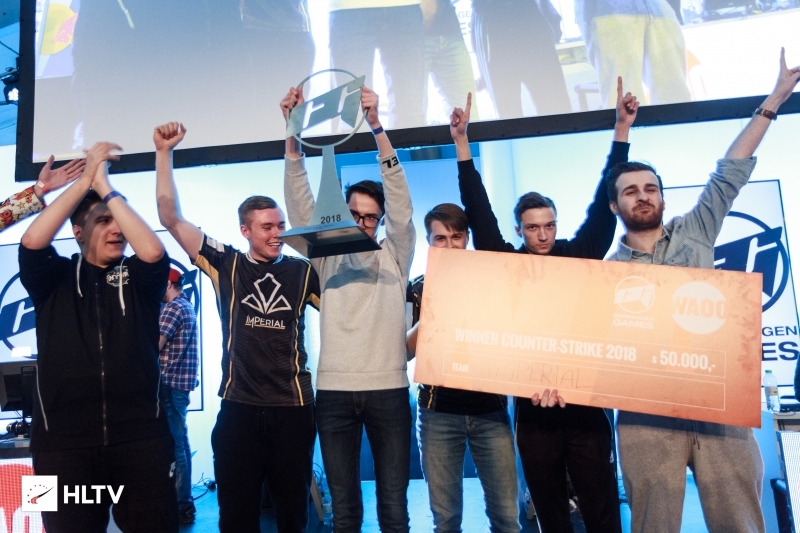 In the end it was Imperial, the European combine, that upset the two local and favorite teams, North and Heroic, that took the map, 16-8, and match, 2-1, to lift the trophy.